I love how this turned out and it's exactly what I'd planned for. You can check out all the details here on the Stash Bee blog, but here was one of my inspiration photos, along with my EQ7 rendering. I kept the quilting very simple, opting for organic wavy lines, using Aurifil 50 weight white cotton thread. Of course, when I say simple, I mean in look only. This quilt isn't huge, it only measures 60" x 60" square, but it was a pain to quilt long rows on a DSM. I can really see where this would have gone much easier and quicker on a long arm machine. I used Carolyn Friedlander's Widescreen in gray for the backing. It's the perfect addition to my living room and I'm now working on some coordinating throw pillows. This is my One Monthly Goal finish for March and another finish for the first quarter of the 2016 Finish Along. 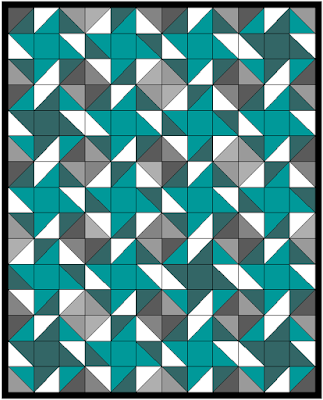 It's so fun to be able to see the block I made for you in the mix. It turned out beautifully! that is beautiful!!!! I love the colors. It's pretty! 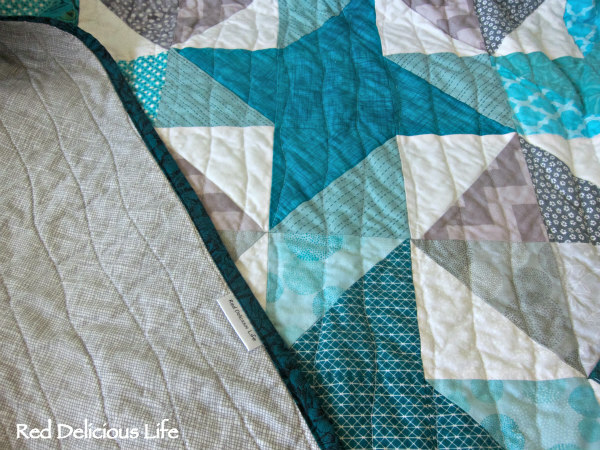 And it's great seeing a finished Stash Bee quilt! Thanks Emily! It really was a perfect team effort with everyone's fabric selections blending well with all the others. I just love seeing it on my couch. WOW, wonderful. Thanks for sharing this with us. I hope this year's Stash Bee Quilts turn out just as beautiful. This turned out so wonderfully Diana. The quilting looks great and yes it does take a long time. What a beautiful colorway. Congratulations on achieving your OMG! This turned out beautiful and will look great in your living room. Congrats on your finish. Love this quilt Diana. Great colours and a wonderful choice of block for a bee. The wavy line quilting finishes it nicely. A beautiful finish! 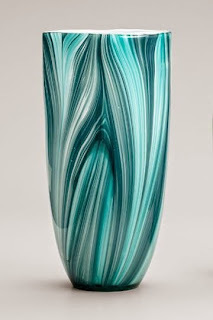 The turquoise vase is stunning, and the colours translated so nicely into your quilt. Such gorgeous fabrics and colour combo. 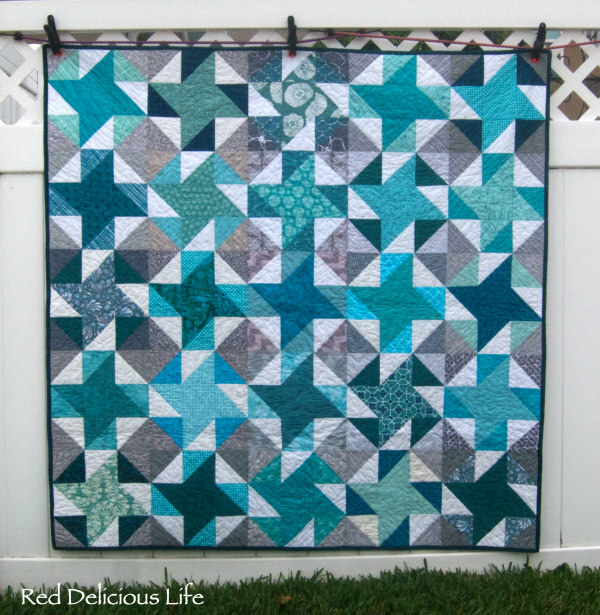 I love the colours in this quilt and friendship stars are one of my all time favourite blocks. Please add the link to your Q1 FAL list into your post for this and any other finishes you have linked up, it's here: http://www.reddeliciouslife.com/2016/01/finish-along-q1-project-list.html . Thank you for participating in the FAL, on behalf of the 2016 global FAL hosts. That's a beautiful finish, Diana! Turquoise and gray are a favorite combo of mine. I love it! And I can see my block! My Stash Bee is almost finished. I simply need to sew the binding on. Like yours, it is quilted with simple wavy lines. I love that effect and will use it often, I think. Love how this turned out! My stash bee is still in blocks, someday I will finish it!